At first, we found it great that Atlassian gives us a chance to be able to give feedback, and voted for the existing tickets. Since the number of votes was pretty high, we expected those issues to be addressed quickly. However, after a while, we realized that this is not going to happen. The only updates were pure PR. From my perspective, their updates can be summarized by: “We don’t plan to fix this in a timely fashion, so just deal with it. But please continue to provide feedback that we will kindly ignore”. If you read the comments of these tickets, you will realize that we are not the only ones frustrated by this situation. Have a look at JRA-1369, JRA-24907 and JRA-14543. Thank you to everyone who has voted or commented on this suggestion. […] Unfortunately, we are not planning on addressing this in the foreseeable future. 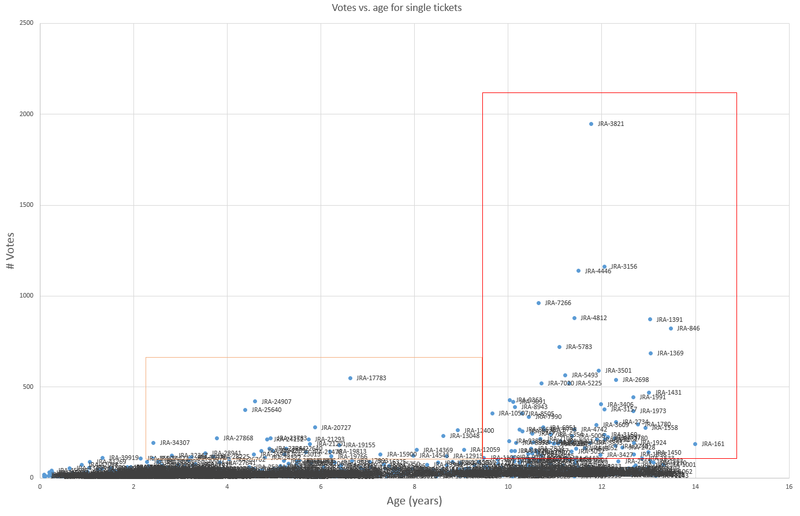 How to read this: the tickets that are 11 years old have gathered 11000 votes in total since their creation. It promises so much in what could so easily become the industry standard. However, the lack of bigger picture thought by the people steering the development will prevent Atlassian from making JIRA the industry product. I too have become very disillusioned by Atlassians appalling attitude to customer requirements. Whilst I won’t actively discourage its use, I will spend time highlighting the poor response to feedback and the limitations it causes in general. This will cause potential customers to look at other options, and so they should! Problem with 3rd party plugins that Atlassian quite often proposes as a workaround – useful plugins are not free, so using 5-10 3rd party plugins usually increase the cost 1.5-2 times. I’m administering JIRA since 2008 and my main instance has 1.000+ users and 500K+ issues. I too take issue with the way Atlassian handles requests for improvements. Some seem to be so easy to implement and have so many votes that it’s difficult to understand why they let them linger on. It’s really too bad Atlassian has become this way. Issues like label case sensitivity are 1 dev day fixes that have huge customer values. Their product prioritization is broken. It is a clear indication that the company failed to scale with growth. @Sergiy one of my colleague actually thinks some of the tickets are not processed by Atlassian to keep the plugin developers in business. The phrase “With products that support every aspect of team collaboration” makes me sick, seeing how customer feedback is repeatedly ignored. Atlassian is obviously focusing on getting more captured users instead of supporting their current user base. 2/ users want something that fixes their particular use scenario, but often it compromises the wider product use case. If someone wanted onboard coffee facilities in jira and coffee heads voted, Doesn’t mean they should do it.. I have used jira, mantis, TFS and numerous other products, JIRA blows all the others out the water, out the box it works great, but it’s ability to be tweaked and adapted with plugins and huge configuration options make it the defacto standard. It’s development life cycle tracking when hooked up with confluence stash and bamboo is Very VERY powerful indeed. TFS doesnt even come close, and costs 6x the price…. the obvious fail that I see is yours to read. 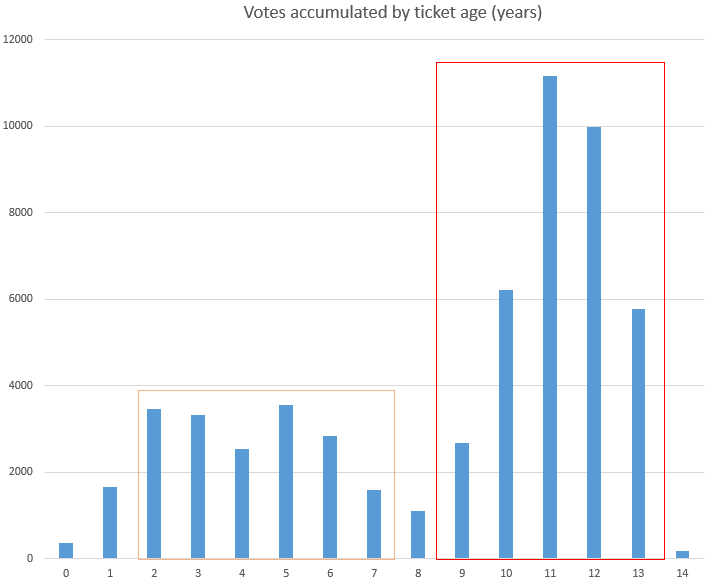 Read what all those JIRA users and admins are asking for with their votes, and read what this post is about. Go through the tickets and spend the time to understand them. They are no corner cases or esoteric requests, but shortcomings that affect the usability and availability of JIRA to a great extent. No offense, but your comparison with requesting “onboard coffee facilities” is just stupid. And of course these issues are still actual, otherwise Atlassian would have closed the tickets, and people would not vote for them anymore. Read the post again, the point is not that JIRA is better or worse than other products, but that there are shortcomings that affect hundreds of customers for years, and that Atlassian just won’t fix. On this aspect, other vendors clearly do a better job. Most companies don’t let you see their lists of bugs and feature requests, so you don’t know how long a bug has been known about. Most companies that I’ve worked with have problems they have known about for years. Atlassian isn’t unusual in that – you just get to see their details. Atlassian are clear about the process they use to choose what to work on. And while I am sometimes frustrated by the choices made, I understand they have limited resources on a large body of old(ish) code. I do not speak for my employer, ServiceRocket, who is an Atlassian Partner. I agree that Atlassian is a role model as far as transparency is concerned, but this is not what my post is about. It’s about them ignoring since 5+ years the requests of their paying customer about limitations or issues that create real, repeated pain, and for many, don’t seem that hard to fix. Other companies do a much better job as far as this aspect is concerned. That’s all I am saying.